Love Your Mother? | Maxine Platzer Lynn Women’s Center, U.Va. Home / Love Your Mother? We are always working to strengthen the internship program that the Women’s Center offers for UVA students. In the Spring 2018 semester, as part of that effort, we provided a second part to the fall course that all of our interns take. Below is an example of the work our students have been doing in Front Lines of Social Change II. You’ll also find more about the classroom component of our work and links to other examples from our students in this month’s PALKO POV: Back in the Classroom. We’ve gendered our planet and it has opened up the door for environmental sexism. The tradition, dating back to the 15th century, spawned this rhetoric of assigning a maternal role to our planet. “She,” was the benefactress of light, water, rich soil, minerals and more, all for the European explorers to inherit and subjugate. This metaphor and gendering of our world has set the stage for and reinforced social divisions of and the dominance dynamic between men and women. It paints this picture of our planet and women as entities without agency, whose sole purpose is to benefit the patriarchy. Over the years, we have seen the continued serfdom of the planet and women at the hands of men. As a result, ecofeminism arose. “A new term for ancient wisdom” developed out of the feminist, peace, and ecology movements in the late 1970’s and early 1980’s. Ecofeminism examines the intersection of women and the environment, studying the parallels in the ways that women and the environment are treated. The patriarchal framework that functions to justify the subordination of women by men. 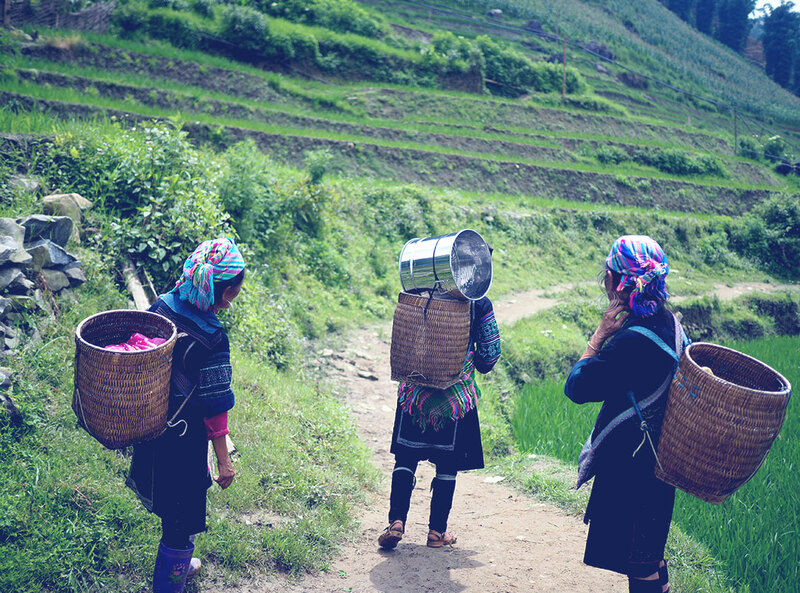 The ways in which, “women—especially poor, rural women in less developed countries (LDCs) who are heads of households—suffer disproportionate harms caused by such environmental problems as deforestation, water pollution, and environmental toxins. The rhetoric used in describing women pejoratively as chicks, heifers, pussies, and bees, to name a few. The ways in which women have also been more inclined to deal with environmental issues. As touched on in class and the article, "Female Equality Is Key to a Sustainable Future,” environmental problems have a disproportionate impact on women. “Worsening drought, deforestation and desertification mean that women in developing countries must walk farther distances for fuel and water with higher risk of sexual violence, carry heavier loads, and work harder to grow enough food for their families.” It affects a woman’s ability to attend school, bear children, and can increase sexual victimization. It wasn’t until Hynes spoke of the effects of Hurricane Katrina that I recognized my own biases in regard to the impact of environmental problems. This isn’t a primarily foreign issue – after Hurricane Katrina, African-American women in both Louisiana and Mississippi were displaced and neglected, rendering them more vulnerable to domestic violence. It is absolutely asinine that some men and their greed opened up the door for the subjugation of our planet. On top of it all, in moments when nature strikes back, women are then the ones to blame. Our thought patterns and words manifest themselves into concrete systems and it is important that we analyze, educate, and correct these ideologies. In her article, H. Patricia Hynes listed actions to be taken and included things like drawing from women’s indigenous knowledge about seeds, soil and natural resources, recruiting women for emergency planning, assuring fair and non-discriminatory allocation of disaster relief resources, and including women in local and regional decision-making councils. Her suggestions are right on par and necessary, but I have become incredibly frustrated with the division that these issues create. It seems as though some individuals live in disbelief and put all their energy into trying to fight with the facts and statistics, while others accept them and want to begin to do the work necessary for change. What I really have come to appreciate about the community I have joined as an intern through the Women’s Center, is the open and receptive character that rebounds from one person to the next. The conversations we’ve been able to have in class truly do add flame to my fire and remind me of why we as activists, advocates, and allies do the work that we do. As a group, our flames are bound to spread, and as a group, we mobilize to shift the needle of division through awareness and education.